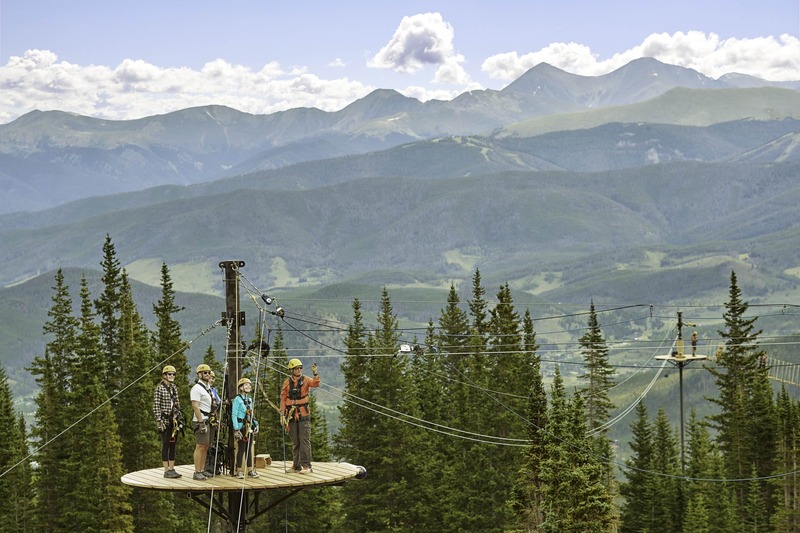 Can you find summer adventure in Breckenridge? Yes! 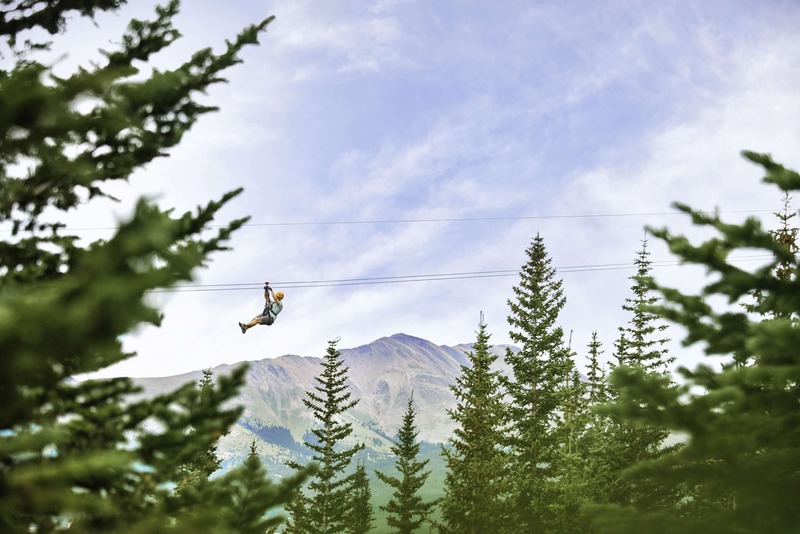 If you are an adrenaline junkie, or an outdoor lover, and are searching for adventure, then I would say Breckenridge has all the adventure you could want! Breckenridge is western meets Victorian and is filled with creative entrepreneurs. 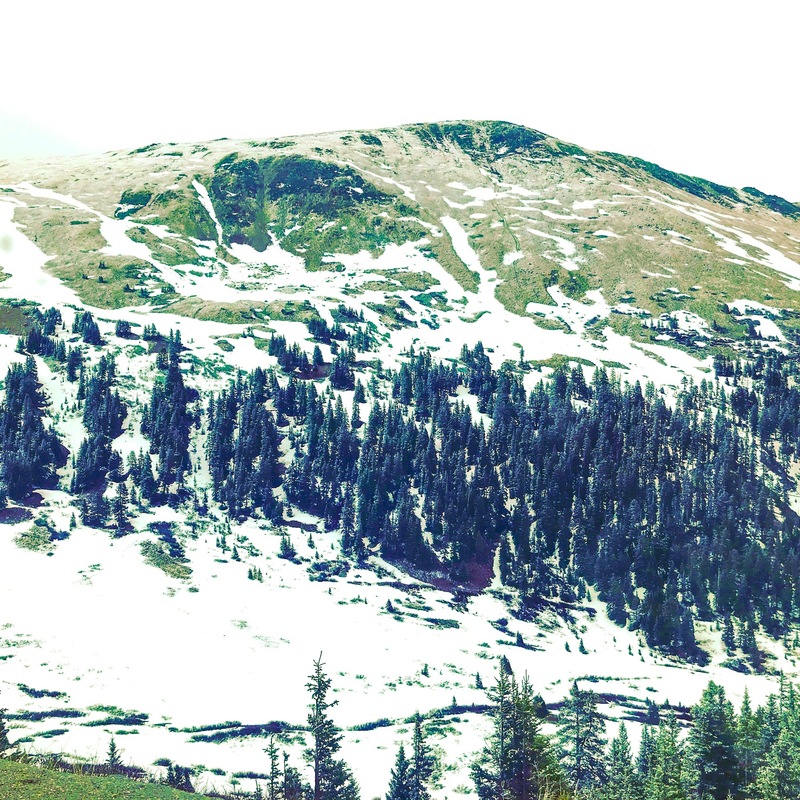 Ideally situated between peaks 5-10 of the Tenmile Range you have 360° views of the snow-capped mountains even in summer, and brooks and rivers filled with snowmelt, rush downhill. When the hot, steamy days of summer arrive in the South, why not escape to the mountains? And the Colorado Rockies are a perfect getaway! At a towering 9600-foot elevation, the summer temperatures are mild, with an average 70 degrees during the day, and little humidity. Long summer days accompanied by azure blue skies make summer an ideal time to visit. Breckenridge summer activities are centered around the outdoors, and here are our top reasons to plan your next summer vacation in Breckenridge: Trails, Water, & Epic Adventure! All three are outdoor activities, and with temps in the 70s, it is a great escape from the heat of Florida & the South. 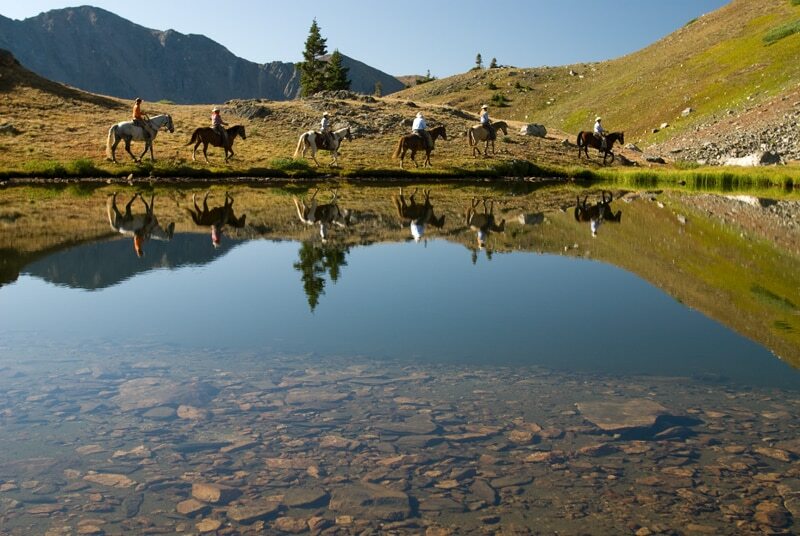 Trails – go hiking, biking, 4 wheeling, or if you're up to it, explore them on horseback. We love the water, so this is a natural fit for us! Water -Kayak, rafting, SUP, sailing….Breckenridge has it all – and some of it is a heart-in-your-throat adventure! And adventure? Epic Adventure – How aboutzip lining down the mountain, or a 4×4 safari type adventure up to peaks 7 & 8! 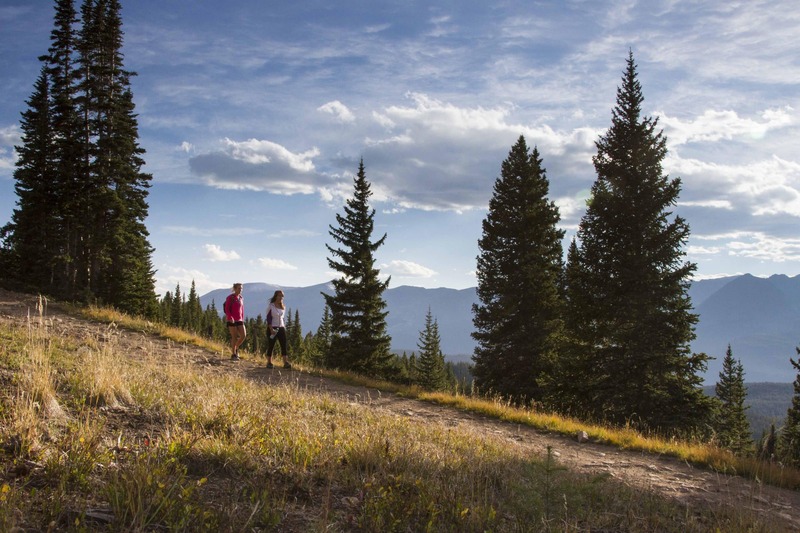 Breckenridge has over 100+ miles of trails just waiting for you to explore. You can explore them on foot, by bike, 4-wheel drive, or on horseback. 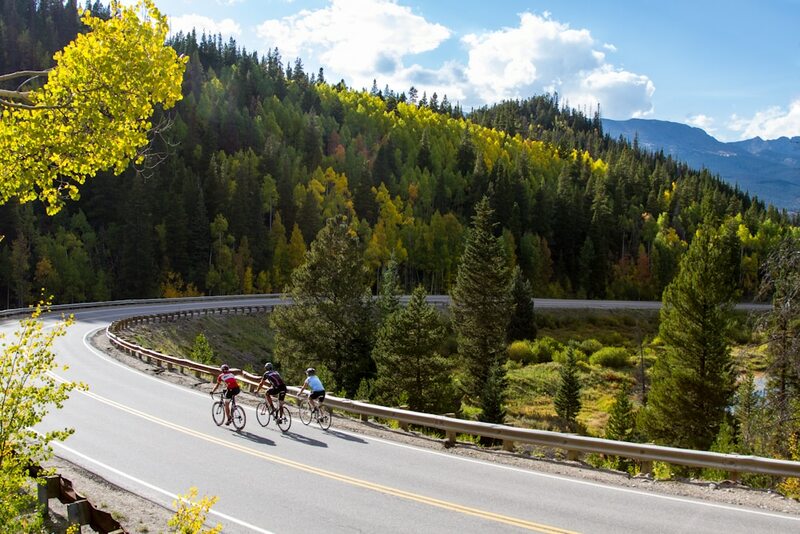 It's a great way to experience all that Breckenridge in the summer for outdoor enthusiasts. From hiking the back roads to challenging 14ers, there is a trail type for everyone. Mountain biking remains a favorite way to discover the many trails, but how about Fat Biking? Fat biking is fast becoming a popular way to explore Breck. These bikes are more substantial than most bikes and do not turn as quickly. Riding a fat bike is not about speed, but is more like 4-wheeling on two tires. The 3.8-inch tires allow for more traction, especially on slick or loose ground. Fat biking is perfect for the biking enthusiast who wants to bike over snow, sand, mud, rocks, tree roots, or any terrain that would be impassable on a traditional bike. 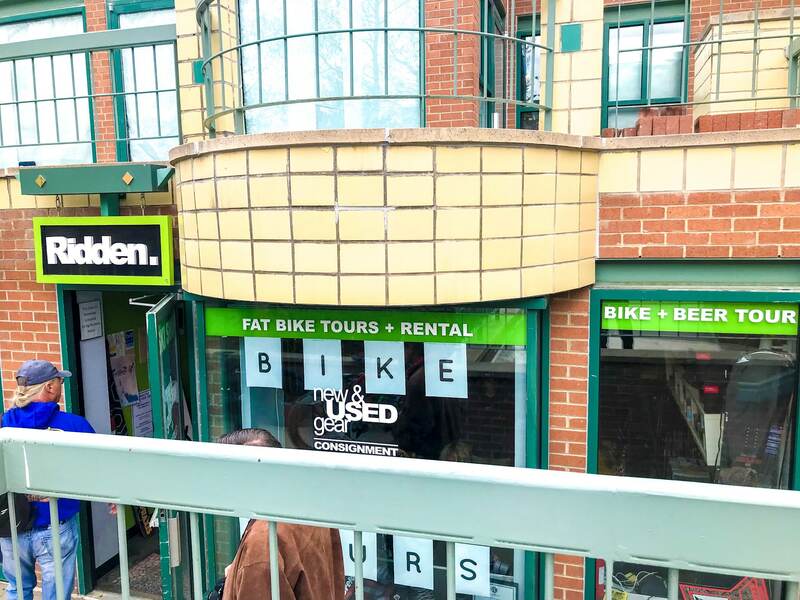 Breckenridge Bike Tours with Ridden is a fantastic way to learn more of Breckenridge's gripping history and to take a fun, and relaxed ride through this western history meets Victorian village. Don't forget your camera on your biking journey – there are endless opportunities for stunning photo stops. What? Water activities in a land-locked state? Yes! You can go kayaking, white water rafting, and paddleboarding, fishing, and even sailing. If kayaking is what you love, Lake Dillon has tours that depart from the Frisco Marina. 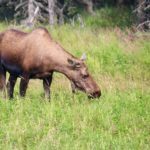 This tour is great for wildlife lovers, as the guides are knowledgeable about the local wildlife, and love to show off the area's natural side. For the more adventurous kayaker, how about a visit to the whitewater kayak park on the Blue River? This 1,800-foot long park has 15 features that will challenge even the expert kayaker. Located on the Blue River, just east of the Recreation Center, it is free of charge, as conditions permit. The best time to go? May through June. Lake Dillon, located in nearby Frisco is beckoning us with a siren's call. Lake Dillon is the highest lake and deep-water marina in the US at 9600 feet. It's not a natural lake but is a reservoir, created in 1963 when the Dillon Dam was completed. The dam was built to bring pure, sweet mountain water to Denver. Diverting the Blue River and the Snake River created the 3,233-acre reservoir. 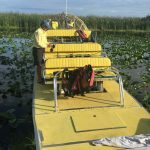 The local sailors will tell you that the wind up on the lake can be a bit contrary, and can take a bit to get used to for boaters – especially for those who are used to open ocean sailing. With rugged, craggy peninsulas, surrounded by soaring peaks reaching to the sky, those peninsulas wreak havoc for sailors. One moment you have gusting winds that are filling your sails, and the next minute your sails are hanging limp. Trying to get a fix on the wind direction is also a challenge – it might come from the west, then suddenly gust from the south. The wind can at times, seem to be coming from all directions at once as it funnels through the southern arm of the Snake River, and colliding with the winds coming from the south and west. These contrary conditions are the stuff nightmares are made of for newbie sailors (and for veteran sailors used to predictable wind conditions). This boating couple is ready to face the challenge, but rest assured, we'll be talking to the locals at the Dillon Marina before we rent a boat and shove off to experience Lake Dillon sailing. 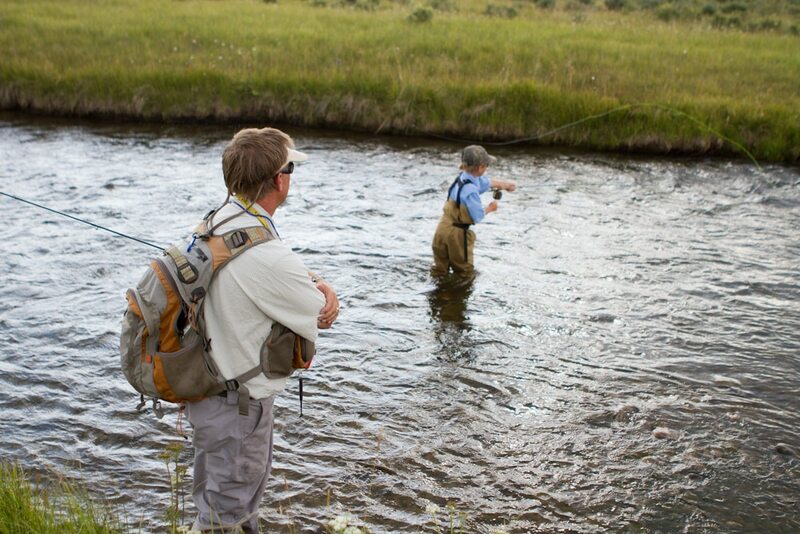 When visiting Breck in the summer, why not try your hand at fly fishing? Though fly fishing takes a bit of patience, when you get a fish on the hook, it is an adventure reeling it in. With some of the best fishing spots located right in town, you can hook a rainbow trout or brown trout. Never tried, but always wanted to learn? Take a fly-fishing trip with a local guide – they know all the best “honey holes” to find the fish. True confession here – I have been whitewater rafting, and fell in love. Even though I was “that person” – the one who ended up in the river instead of on the river. But instead of freaking out, Jim told me later that when my head popped up out of the water I was grinning and laughing. So I have a preface here – when the guide is explaining things – especially about “washtubs” and which way to lean, pay attention! Needless to say, that trip “wet” my appetite for more whitewater rafting! 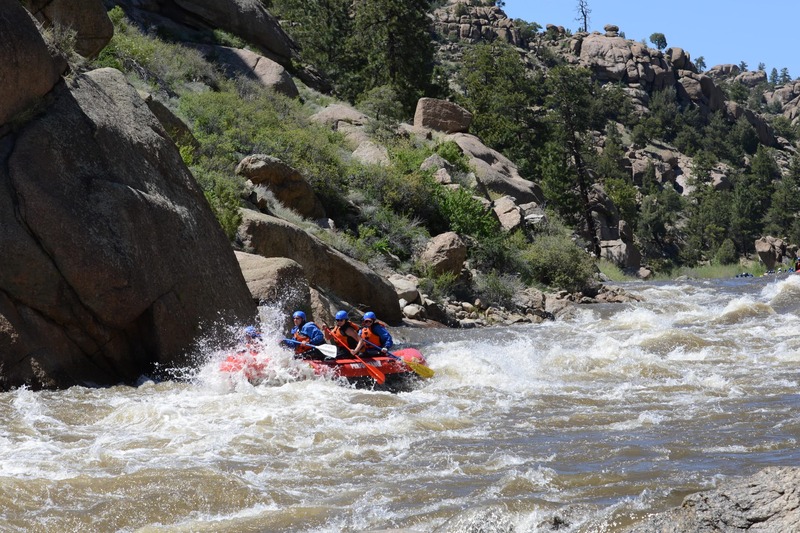 And Colorado will definitely give you an exhilarating whitewater experience! 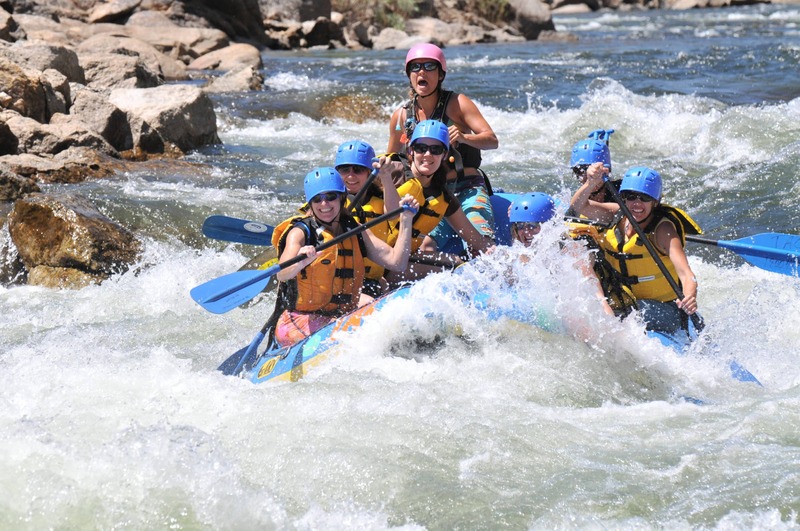 Whitewater rafting is the ultimate summer adventure in Breckenridge. You are careening down a river swollen with snowmelt. Water is just sloshing everywhere, and you are surrounded by incredible views in every direction, with snow-capped peaks towering over. For this writer, this is the ultimate summer vacation adventure! There are five areas to go whitewater rafting in the area – Brown's Canyon, Clear Creek, Numbers, Blue River and the Colorado River. Each is unique, but for relaxed fun for the entire family, my top picks are Brown's Canyon, the Colorado River and the Blue River. The BreckConnect Gondola is FREE in the summer months, and the views are spectacular! Pick up the gondola in downtown, and you are quickly zipping upwards, surrounded by jaw-dropping spectacular panoramic views. 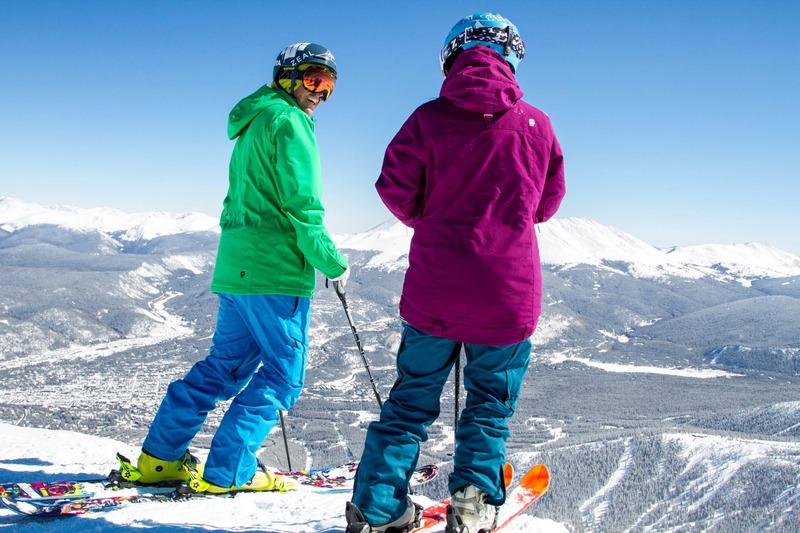 Gliding to a stop at Breckenridge Ski Resort, you'll soon find Epic Adventure, and yet another adrenaline pumping find for the outdoor adventure seeker. Located at the base of Peak 8, Epic Adventure is designed for the whole family. Epic Adventure has slides, coasters, a bounce house, a bungee trampoline, mining, a maze, mini golf and more! For those looking for a bit more adrenaline adventure, take a 4×4 safari-style tour up to Peaks 7 & 8. Or how about ziplining with eight ziplines, ten towers, and a 200′ aerial bridge walk. 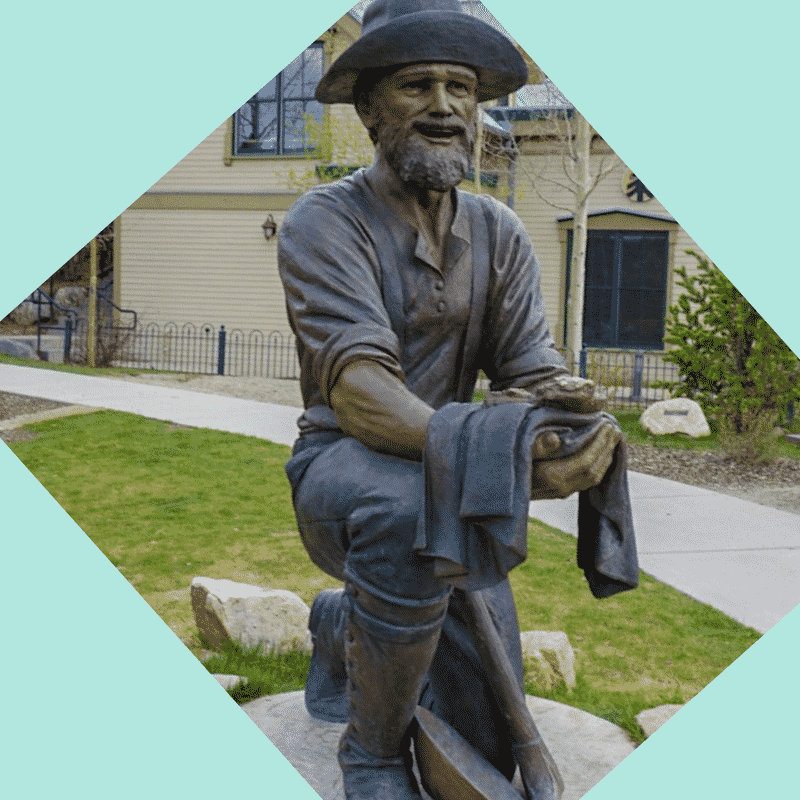 Breckenridge was a product of the famous gold rush days. And July 23, 1887, marked the peak of the gold rush. On this day, Tom Groves made his way through the treacherous mountains into town carrying an immense 13 1/2 pound gold nugget. “Tom's Baby” as the nugget became known as, forever changed Breckenridge from a small mining camp into a community with hotels, saloons, a post office, and church. You can search for your own gold on your Breckenridge summer adventure! Panning for gold is just one of the many summer activities you'll discover! The “snow rush” hit Breckenridge with the opening of the Eisenhower Tunnel in 1973. Going right under the Continental Divide, the tunnel allowed quicker access to the pristine ski areas of the Tenmile Range. And with the snow rush came ski resorts – lots of them, and skiers flock to the area in droves during the winter season. Filled with history, fun, and outdoor adventure, Breckenridge is also a great place for a getaway no matter what season you choose to go! Have you been to Breckenridge? 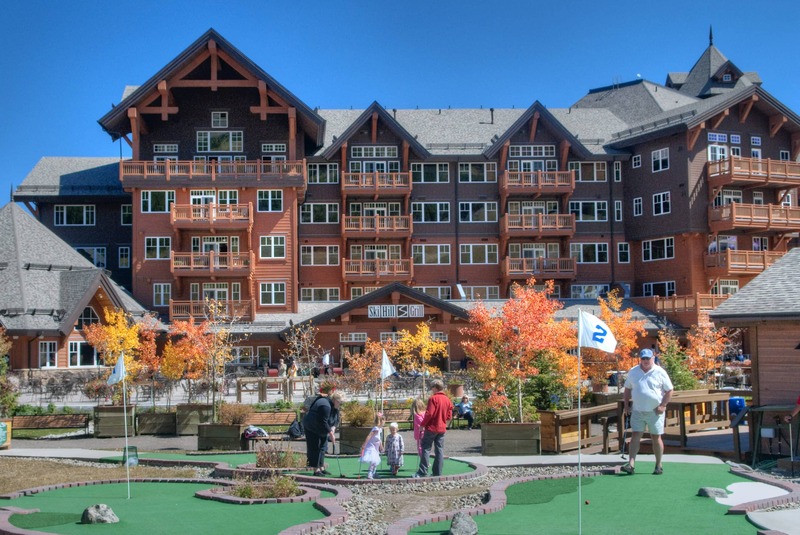 Let us know in the comments below what your favorite activity is in Breckenridge! 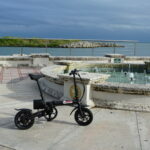 The Foldable Electric Bike – a Gamechanger for Travelers! Many thanks to Breckenridge for hosting this adventure, and to @SportsBizMiss for arranging the trip. All opinions are my own. Don’t tell my kids, but I’m going to copy and paste your trip into my life one of these days! One of these days you’ll be in Breckenridge Penny! Six Legs will Travel has tons of fun!! Breck is one of the many ski areas I worked for. Love the outdoor activities and restaurants there. Life’s great at 9,600 feet! Breck is a great area – I would love to go back and visit!